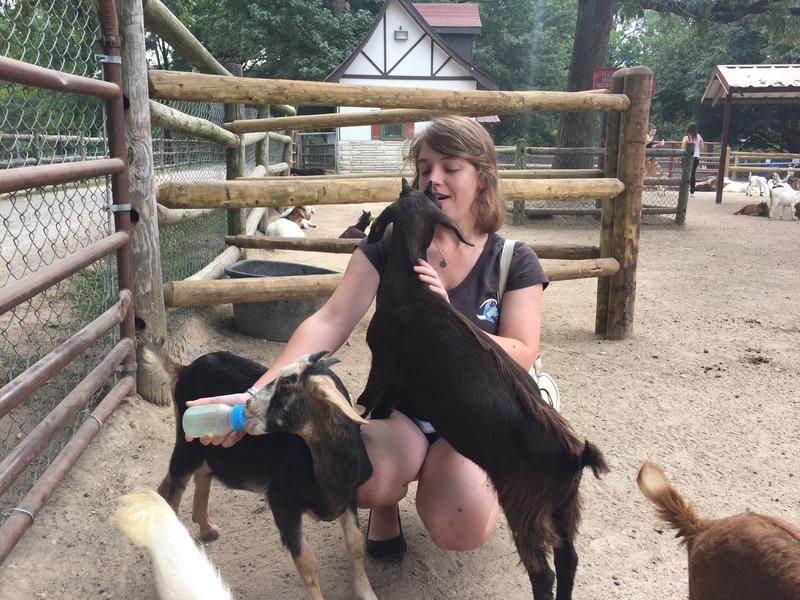 I spent last weekend in St. Louis and boyfriend took me to Grantt’s Farm, which is the Anheusur Busch family’s private zoo/collection of animals. They had a whole bunch of things including kangaroos, turtles, camels, llamas, elephants, horses, and… GOATS. 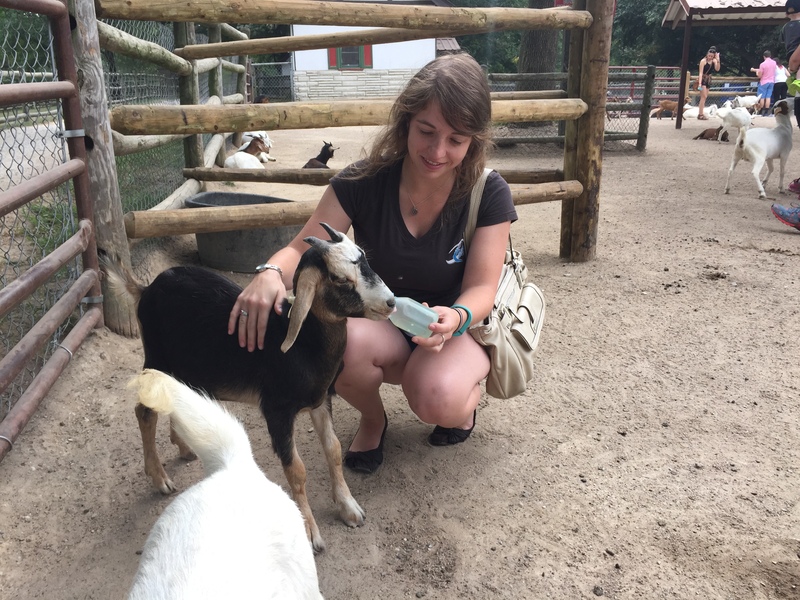 Specifically, baby goats that you can feed milk to for a dollar a bottle. And those goats were REALLY excited about the milk. 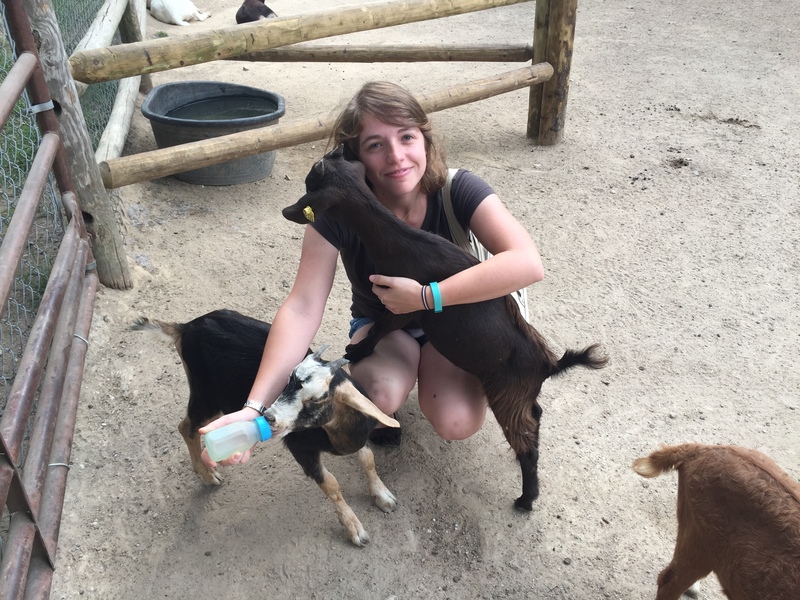 Basically, this was the best day of my life because A GOAT CLIMBED ON MY LAP. In this one he’s eating my hair, just like my cat does.